Are the springs in your garage door defective? Are you interested in purchasing a garage door screen to convert your garage into another room? Do you want to install a new garage door because yours is not working anymore? Are you looking for a garage door repair service for a broken garage door? If you’re experiencing any of these problems, Pro Garage Services can help you with repairs and installations that are efficient and effective. Pro Garage Services is locally owned and operated and serves the Greater Phoenix area. No matter where you are located in the Greater Phoenix area, we’re able to assist you with our garage door services. Our garage door services are meant to make your life easier, which is why we offer 24 hours a day and seven days a week garage door services. We’re available to come to your office or home at any time that’s best for you. Whether your garage door breaks at the worst possible time, or you have an odd working schedule, we can come out to repair or install a garage door. We want to ensure your satisfaction. To do that we make sure to provide the garage door services you need and the brands that are economical and effectively perform. Some of the garage door brands we offer are North Central, Wayne Dalton, Northwest, Amarr, and Haas as well as other brands. We also offer a variety of garage door opener brands as well. We provide LiftMaster garage openers, which are the leading garage opener in the industry. The garage door services we offer are garage door repair, new garage door installation, installation of garage door openers, and replacing garage door springs. We also offer garage door screens to install in your garage door to create a new room in your garage. When we provide all of these we also have coupons to help you pay for our services. 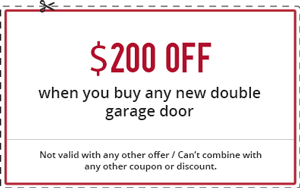 When it comes to affording our garage door services we offer a variety of coupons all listed below to help you save money. 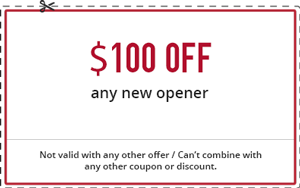 The coupons listed before are $200 off a new double garage door, $100 off a new garage opener, and 10 percent off of your total order. 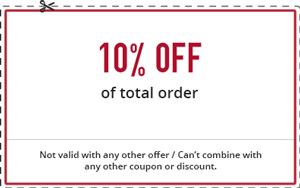 When you come to us for your garage door services, make sure to print out a coupon and take advantage of this great opportunity. To ask about any of our garage services, coupons, and more call (866) 216-2827.